The Wesley-Knox Primary Choir offers a lively, interactive music program that teaches children the basic elements of music through games, movement, rhythm instruments, singing and excellent choral repertoire. 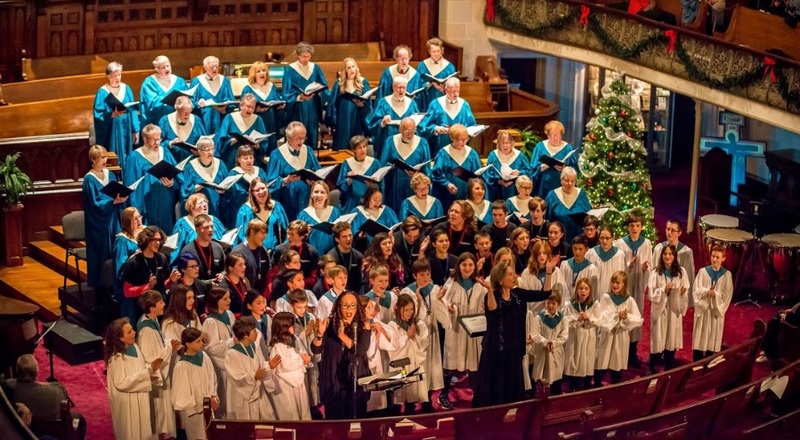 The Junior Boys, Junior Girls choirs, and the Mysterium youth choir, further develop vocal techniques, and add the ability to read music and sing in parts. At Wesley-Knox, we feel these experiences lay the foundation for future music learning and a lifelong love of music. 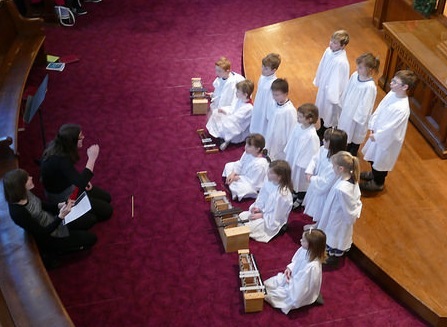 Children and young people learn to sing and experience singing musically in a choir. 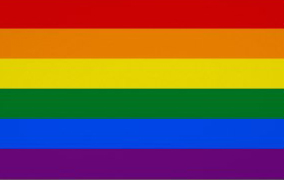 The choirs sing in church and in the wider community. 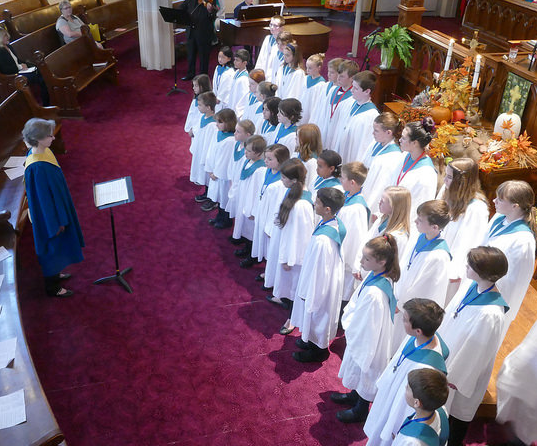 Singing several Sundays each season allows them to become an integral part of worship and to develop confidence and performance skills. There is no requirement for the children or their parents to be associated with Wesley-Knox. For additional information or to enrol a child or young person in a program, please contact our point person, Mary Bee Haworth by telephone at 226.237.4337 (text preferred) or by e-mail here. To help the people of Wesley-Knox with the cost of maintaining this program, about $7000 a year, we ask choir parents to donate, as they are able, $90, $60 or $30 per child per year. All donations are tax-deductible. 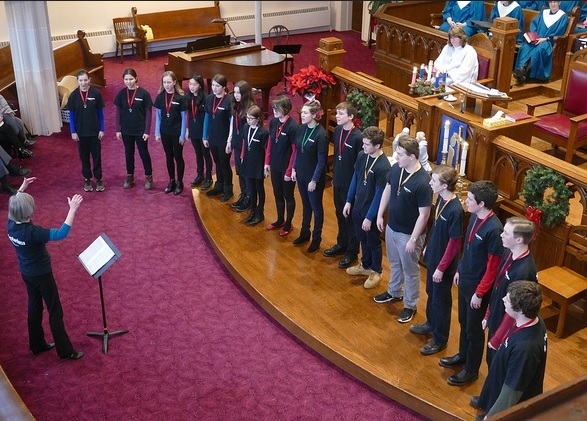 More detailed information about the program can be found in the latest Children and Youth Community Choirs brochure available here. A current Handbook for choristers and choir parents is available here. 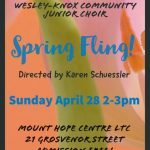 April 28: Junior Choir Spring Fling!